The exhibition of the winners’ works is open inside Accademia Riaci from 20th to 22nd April, 2017 (10:00-18:00). You’re welcome ! Florence, sometimes called the “museum of no roof ”, is the birthplace of the Italian Renaissance. The city of which modern Italy is proud as a center of art had reached one of its pinnacles between the 14th and 16th centuries, when creative energies and techniques of artisans flourished. “The International Art & Design Competition” takes place in this marvelous environment. The aim of the competition is to contribute to the revitalization and internationalization of the entire Italian Art, Design and Crafts industries, by discovering new artists, fostering their talents, and in the meantime promoting the study abroad in Italy. Jewelry Making, Jewelry Design, Shoe Design, Bag Design, Bag Making, Furniture Design, Fashion Design, Interior Design, Product Design and Painting & Drawing. The competition is open to everyone, with no specific age or nationality requirements. 1) Professional Division - Designers/artists with work experience for 4 years or more, who want to refine their skills through a professional course at Accademia Riaci. Start by visiting our website from the link below to register your participation from the Entry Form. Please present a project based on this year's theme. Each project may contain up to 5 artworks. A participant can present as many projects as he/she wants. Only the projects submitted by photo data shall be subject to the selection. - For three-dimensional works; photo data, perspective drawings, original data (PDF or photo data) of plan/developed view drawings, etc. 3) Text (.doc, .rtf, .txt etc.) regarding the simple conceptual explanation of the project, in Italian or English (max. 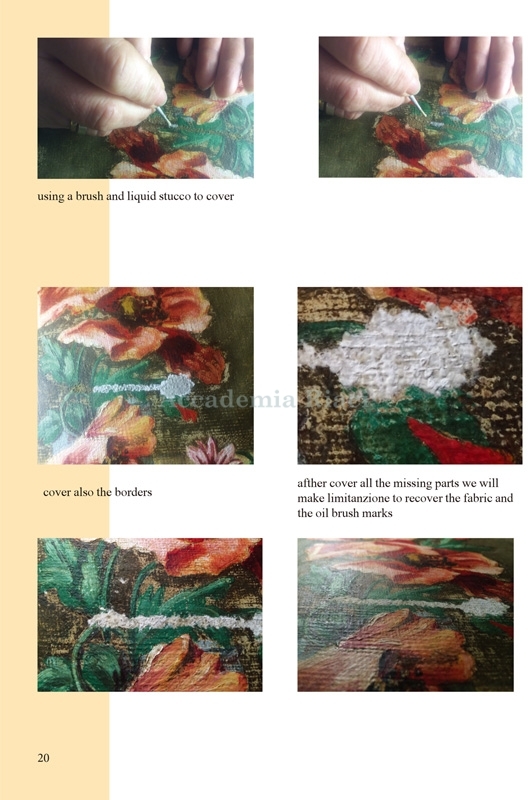 one page of A4 or equivalent sized paper), including its title, size, materials used, techniques applied and a brief explanation about how the inspiration for the project came to mind. - Number all works in your previous portfolio. Make sure your full name is also specified on each work. Three-dimensional works: The length of 3 dimensions (length, width, height) added together must be 150cm or less, and weight must not exceed 5kg. Please note that up to 5 still images (no videos allowed) for each project can be submitted. Although the competition jury will evaluate the works based on the submitted photo data, the winners will have to send their works to Italy for the exhibition. For those who applied with multiple works, which work to send to Italy will be decided by the Competition Committee. Together with the entry, please send a copy of the auto-reply e-mail with your full name and the entry number printed, which you will receive upon the online entry submission. E-mail a PDF data of the transmittal proof issued by the delivery service to the International Art & Design Competition 2017 Committee after shipping us the winning work. When shipping the works, please specify that the items are SAMPLES, NO COMMERCIAL VALUE, FOR CUSTOMS PURPOSE ONLY (the value should be from 5 to 10 Euro). Otherwise duties and taxes (such as import and/or consumption tax) will be assessed. The competition organizers will not pay any taxes and/or charges associated with receiving the shipment and in this case your shipment will never reach us. Please be very cautious about how you ship your works out. Recommended: ship your work(s) using a traceable shipping method, insuring for the value of the contents with delivery confirmation. The organizers will accept no responsibility for any damage or loss occurred to the works during transportation. Participants from non-EU countries should take into account that delivery by post may take around 4 weeks. As general rule, the entries will not be returned. 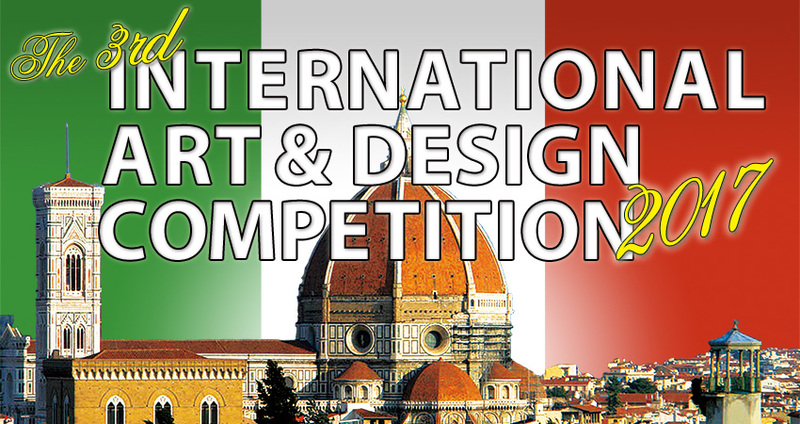 “The International Art & Design Competition 2017” jury will be composed of leading professionals from the Italian artistic scene, deeply connected with the city of Florence and representative of its identity. Final Screening: the competition jury will evaluate the works based on the submitted photo data and required documents, and decide the prize-winners - 1st, 2nd and 3rd places. Only prize-winners will be informed of the result via e-mail. The results will also be published on Accademia Riaci official website. The prize-winners will have to send their works to Italy by February 15, 2017. If they will not able to attend the 2017 course at Accademia Riaci for any reason, they have to inform it immediately to the organizers. The judging results will be announced on Accademia Riaci official website. The Jury final selection is incontestable and irrevocable. ＊No winner shall be selected in case no entry meets the criteria. *Round-trip airfare, housing cost in Italy, course material fee and other fees/costs not mentioned in this Entry Guidelines otherwise, are not included. *No winner shall be selected in case no entry meets the criteria. 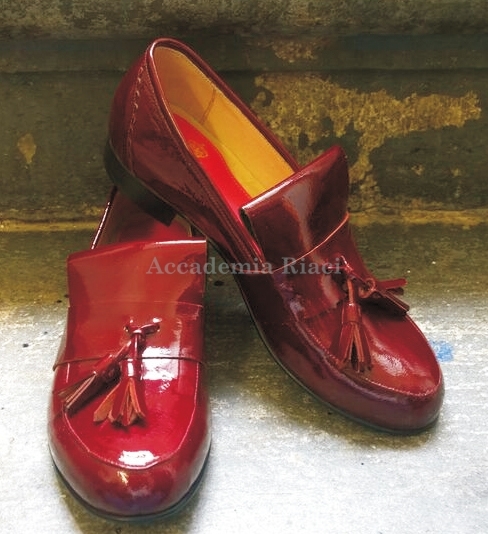 If a winner uses the awarded discount to enroll Accademia Riaci, he/she must become a Student Reporter and submit a weekly class report to the school. For the detailed information about Student Reporter System, please refer to the below link. Those art works deemed to fall into the following categories will be excluded from the selection process and the awards may be cancelled even after the prize-winners have been announced. An art work which infringes the rules set in the Entry Guidelines. An art work which has already won an award in another competition. An art work suspected of infringing the intellectual property of a third party including plagiarism and imitation. The prize-winners will be announced and commended on the International Art & Design Competition Website as well as on Accademia Riaci’s official website. The prize-winners will be informed of the result via e-mail. The certificate of the prize will be handed to the winners directly at the exhibition or on arrival to the school. The exhibition will be held on April 20-22, 2017 in Accademia Riaci. a)　By enrolling in this contest participants will guarantee the authorship of their projects. If you should be found guilty of plagiarism, you will be automatically disqualified. The organizers hold no responsibility for accusation of plagiarism coming from third parties. b)　The organizers reserve the right to disqualify any participant at any time if they do not respect the terms of conditions written in this announcement. The organizers will not hold any responsibility for any damage or theft of items or designs that may occur during transport and selections. a)　The copyrights and intellectual property for the submitted works belong to the participants who produced them. It is the responsibility of the person submitting the entries to protect these rights. b)　The entries that have passed the Screening belong to the organizers and will not be returned. c)　The participants agree that organizers will posses all the right to use the intellectual property of the submitted artwork for its PR activities and exhibitions. d)　Personal data and images of the submitted works may be used and printed by the organizers to promote other artistic and cultural events, web promotion, communication and marketing, free of charge. e)　The organizers will treat submissions that contain copyrighted works or likenesses as though the applicant submitting the photo has obtained permission to use the copyrighted works or likenesses from the rights holder. f)　In case of complaint or objection from third parties related to the copyright of the submitted work, the organizers shall be absolved of all responsibility and liability for legal problems. A dispute will be solved only by the participant. g)　The participants are deemed to have accepted and agreed to the Entry Guidelines upon submitting the Entry Form. Participants expressly authorize the organizers to treat personal data in accordance with Law 675/96 ('Privacy Act') as further amendments D. Lgs. N. 196/2003 (Privacy Code), solely for the purposes of organization and advertising of the competition and all the events and obligations related to it. There are cases when the winners’ personal data may be disclosed on Accademia Riaci official website, promotional magazines, and public relations magazines. Any dispute will be treated in Italy and under Italian law. The organizers accept your inquires via e-mail in Italian, English, Spanish, or Japanese. No telephone inquires will be accepted. The competition details may be subject to change without a prior notice. Please refer to this page again for up-to-date information. The entry for this Competition has been closed.